So I sent a Private Message to e92-Lighting (on e90post.com) on Thursday 8/2/2012 asking for some info, as one of my headlights had turned purple and was on its way out. I'd ordered a set of body matching painted reflectors from them back in March 2012 with no issues. After a bit of back and forth I ordered new bulbs that evening, along with some DTEC H8 Amber LEDs for my Angel Eyes, as he said they wouldn't cut out in high heat like my LUX H8 Amber LEDs do. The LUX has a thermal cutoff at 100 degrees C to save the components. I also ordred some corner bulbs and new fog bulbs. 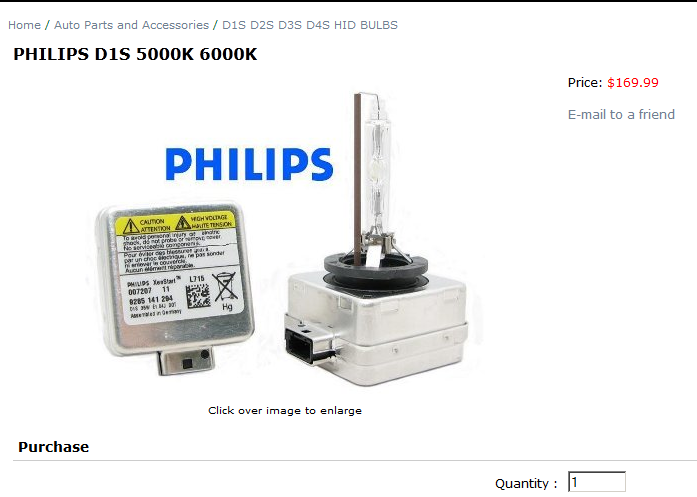 I then sent an email via their web site's form, as well as a Private Message on the e90post.com forums, to let them know which type of D1S bulb I wanted (5kK or 6kK)...I chose 5kK. I received an email Saturday afternoon (8/4/2012), in response to my email from Thursday, asking if I was sure of my choice of 5kK, and suggesting 6kK instead because 98% of their customers had ordered that one and been happy. I said it was fine to use 6kK if they weren't too blue. I received no reply. Saturday night my headlight went completely dead. On Monday (8/6/2012) I checked the order status and it still showed as in process, so I imitated a chat via their website and let them know my headlight finally went out on Saturday and I was wondering when I might receive the order. I was advised the order would ship out that day and I'd have it in about 2 business days. Two days later, on Wednesday (8/8/2012), I checked the order status again, looking for a tracking number of some sort, and it still showed as in process. So, I again initiated a chat and waited in queue, with my initial message stating my order number and asking for the order/shipping status, as the order still showed as in process. After waiting in queue for a few minutes I was kicked out of queue and was advised that all reps were offline. At that point I called the phone number on their site and it was just a voice mail message stating to send an email. I chose not to send an email, as the last one took 2.5 days to get a reply on. I checked the order status again at this point, and it had changed to completed, which means someone read my message, chose not to speak with me, then just changed the status of the order...which is quite rude and a bit shady. I received an email a few minutes later indicating that the order had been completed. So, I initiated another chat, as they were now back online. My initial message was asking for the status of the order again, and for a tracking number. I was advised that the order had already been shipped to me and they would find the tracking number and email it to me, as it was on a different database...OK. I started a chat 5 hours later, with the initial message stating my order number and that I was still waiting for the tracking number. All operators went offline after a couple of minutes in the chat queue. I started a chat again a few minutes later, with the same inquiry, because they were back online again. All operators went offline after a couple of minutes. So, I sent the question via their email form. I received an email about an hour later with a tracking number that USPS didn't recognize which, for a package that was supposedly shipped two days prior, is strange. The next day, Thursday (8/9/2012), the tracking number was working, and said electronic shipping info received 8/9. "The U.S. Postal Service was electronically notified by the shipper on August 09, 2012 to expect your package for mailing. This does not indicate receipt by the USPS or the actual mailing date. Delivery status information will be provided if / when available. Information, if available, is updated periodically throughout the day. Please check again later." So, I sent them an email advising the tracking number indicates the package hasn't shipped yet, and asking if it shipped on Monday (8/6) or not. I didn't receive a reply. The next day,Friday (8/10/2012), I received the package (the label showed a print date of 8/8); however, there were some issues. 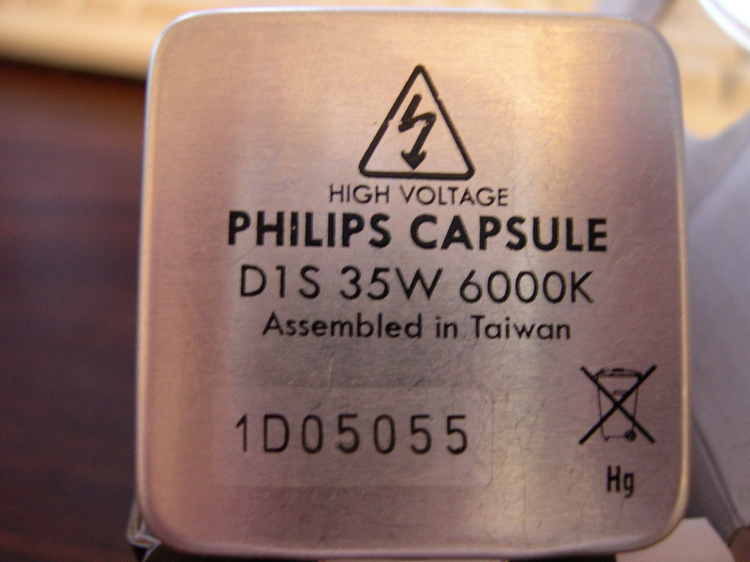 1) The HID bulbs they sent me weren't Philips D1S bulbs...they were a knockoff made in Taiwan product and did not match the image on the product page. 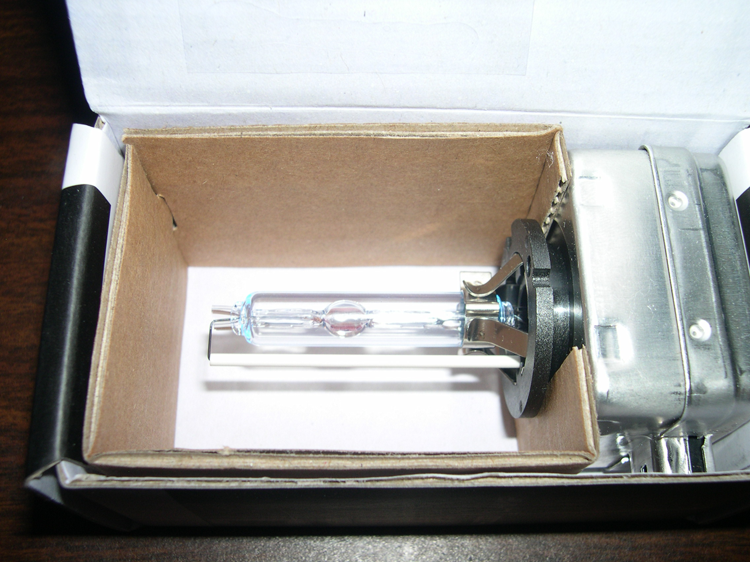 Packaging of the counterfeit D1S bulb I received. Bulb of the counterfeit D1S bulb I received. Bottom of the counterfeit D1S bulb I received. 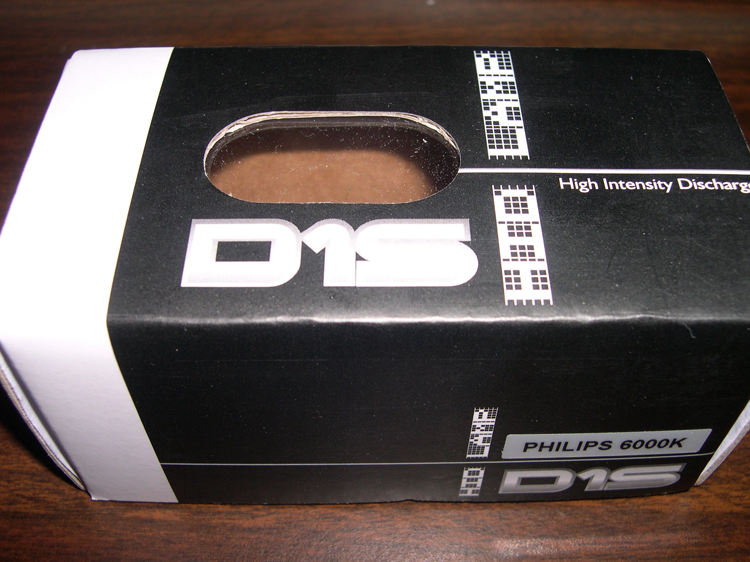 Here's a legit Philips D1S bulb, for comparison. 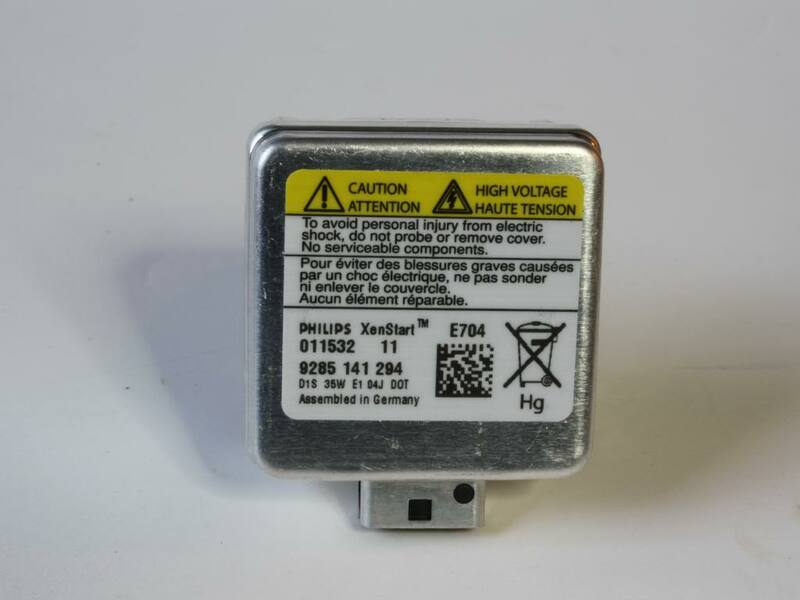 I noticed during my research that the product page states "This is for a set of 2 Philips Ultinon Xenon Burners" which means he knows he is selling fake items, and is misleading those who don't understand that this means the image pictured isn't representative of what you'll receive. Product page disclaimer, meaningless to those of us who don't know what this truly means when placing an	order. 2) The DTEC H8 LED bulbs they sent me indicated that the control units must be mounted outside the headlight housing, which, again, doesn't match the information on the product page. I initiated a PayPal claim and emailed the vendor, and then posted all of the above on the e90post.com forums as a warning to the community. A short while later I received a reply to my inquriy from the prior day asking if the package had shipped out on Monday or not. The reply indicated that yes, it had, which we know is a lie because the stamps.com shipping label had a print date of 08/08/2012, which was Wednesday. Shortly after that I recieved more emails, with the most prompt	replies, than I could ever want from this vendor. First, a full refund was offered, and a request was	made to edit my post on e90post.com indicating that the issue had been resolved. When I advised the post wouldn't be editied, but I'd be glad to post their refund offer, they asked again. I again declined and let them know the point of the post was to educate the community, and not to get a refund. The next reply advised that the instruction manual with the LEDs was incorrect, and that I only needed one of the dongle type boxes, and didn't need the resistor box. That email also advised that I could keep the LED lights, the corner lights and the fog lights for free. I declined this offer and let them know I'd be shipping everything back the next day. Their follow-up email to that indicated they'd give me the full refund, and even pay return shipping, and a query as to why I didn't respond to the offer of free products, which I thought I had by indicating I'd send everything back, and inquriying if I simply didn't want to give them a chance to make it right. My reply indicated there was no way to make this right, as they were clearly intentionally misleading people, and I didn't want any of the free products. The follow-up to that asked me to edit my post to indicate I had been wrong about the LEDs, as they didn't need both dongle boxes and if I didn't believe they'd fit in the headlight housing I could go try and see. I kindly let them know that the product manual that shipped with them indicated that the boxes should go outside the headlight assembly to avoid damage from excess heat, not because they don't fit. I didnt' mention to them that the resistor they were telling me was un-needed is an error cancelling box that is needed on my model year. Their last email appoligized and stated they should have updated the product manual. I sent these items back last Saturday (8/11) and sent them the tracking information, advising of the shipping cost, since they said they'd pay it, and of the estimated delivery date, (8/13 or 8/14). They said they'd notify me on one of those days, when the package arrived. The package arrived around noon on 8/13, so I followed up early evening on 8/14 to confirm they'd received it; I received no reply. The next day, Wednesday (8/15), the PayPal dispute was closed and the full refund was processed. I still haven't heard back from E92-Lighting, and they didn't include the shipping cost they said, numerous times, they'd pick up. I wasn't initially looking for them to pay that though...it's just something they offered, so that's fine; I'm just glad to be done with this. I will never buy anything from them again, and will try to educate others on their practices, until they change them. At no point during the email exchanges did they indicate that I was wrong about stating I had received fake/counterfeit/knock-off bulbs. Here are our email exchanges; this excludes anything posted in their chat system. I show this arrived yesterday around noon; can you please confirm? ok, thanks, we will notify you on Monday or Tuesday of next week. All of these items have been shipped back, with $353 of insurance, at a cost of $22.15; the tracking number is 03120860000190735863, and the package should be there Monday or Tuesday. ok, i am sorry about everything, there is no need to send anymore emails, please send everything back for a full refund including shipping. we should have updated the manual, so its our fault. i want to make this right with you, but it doesnt seem to be working, have a great weekend and please us let know the tracking later. The manual that ships with the product indicates that the units should be mounted outside of the headlight housing so that they aren't damaged due to heat, not because they don't fit. I will gladly post this entire email thread in the e90post thread though. thats okay, can you please remove this part from your review then as its not a true statement, we even offered you to keep the DTEC V2's for free. again, the extra control units are not necessary for install, so the DTEC V2's will Mount inside the headlight housing, if you dont believe me, you can install it and see if it mounts inside or outside, it will only need the main resistor for install and nothing else. 2) The DTEC H8 LED bulbs they sent me indicate that the control units must be mounted outside the headlight housing, which, again, doesn't match the information on the product page. I appreciate that on the shipping; I simply don't want to keep any of the products. And no, there is no way to make this right. The product page for the D1S bulbs was clearly intentionally misleading and I want nothing further to do with your company after the products have been returned and the refund has been processed. we can go ahead and give you a full refund including shipping. however, we want to work this out with you however, you did not reply to us. the extra control unit is not needed for install, if you dont believe us, you can try to install it as it Without the extra control unit, it will work perfectly fine or you can keep the item for Free. you can also keep the fog lights and cornering lights Free on us. can you give us a chance to make this right or is your intent not on doing that? All items will be returned tomorrow, at my cost, and all I'm asking for is the full refund of $352.55 USD. ok, here is what i can do, i want to make this right. i just want to clarify one thing. "2) The DTEC H8 LED bulbs they sent me indicate that the control units must be mounted outside the headlight housing, which, again, doesn't match the information on the product page." you actually dont need the second extra control unit, it was for the very first batch only, if you dont believe me, install it without the second extra control and see that it will turn on, if it doesnt work, you can keep the item for free, i think that is fair. second, you can keep the fog lights bulbs in addition to cornering light bulbs for free on us. and you will be given a full refund on everything else you send back, i think this is more than fair and we want to work this out, but please give us at least 12 hours so we can see your email, as your first email was not even seen and a thread was already made. we want to work this out with you but please at least give us a chance. I will get this shipped back to you tomorrow and provide you the tracking information. I will also definitely update that post, indicating that you have offered a full refund; however, the thread wasn't posted with the intent to get a refund, it was posted to make the community of what is actually being sold if they order these bulbs, and to help set customer service expectations. giving us about 5 hours only to look into your issue is clearly not enough time, you sent an email today and before we even saw it, you already wrote a review on E90post.com, you didnt even us a chance to look into your issue yet.. 5 hours is not enough time especially if we have many other customers to deal with. since we already rectified your request, it would be great to edit this thread to reflect this change, i mean all you had to do was wait perhaps a business day or two and then we could get back to you, writing comments when we didnt even read your email doenst even give us opportunity. it would be great if you could at least give us at least 1-2 days or 24 hours to read your email, we didnt even get a chance to read this email and you already wrote a bad review, can you please at least give us a chance to read your email, its been less than 5 hours since this email? you will get a full refund, just send back any items to the same address and it would be great if you gave us more than 5 hours to read your email. if we didnt help you, you can go ahead and write anything you want on E90post, when in fact, we didnt even see your email yet and you didnt even give us a chance to make this right, but chose instead to write negative comments on us. it would be great if you could at least edit the thread since we already rectified your issue by offering a full refund of purchase price. I received the package today; however, there are a few issues. I'd like a full refund on this order, and I will return everything at my expense; I will be initiating a reversal request on the full payment amount immediately. Please let me know where to send the product and any RMA number that might be required. This tracking number is working now; however, it indicates the package hasn't shipped yet. Did this ship out on Monday or not? Thanks, can you please verify that number though? USPS isn't able to track it. here is your tracking number. actually we would highly recommend changing to Philips D1S 6k, as about 98% of our buyers have bought the 6k bulbs and have been happy with the longevity and color of the output. Hiya, I just wanted to let you know that I'd like the 5k D1S bulbs for order 7937.